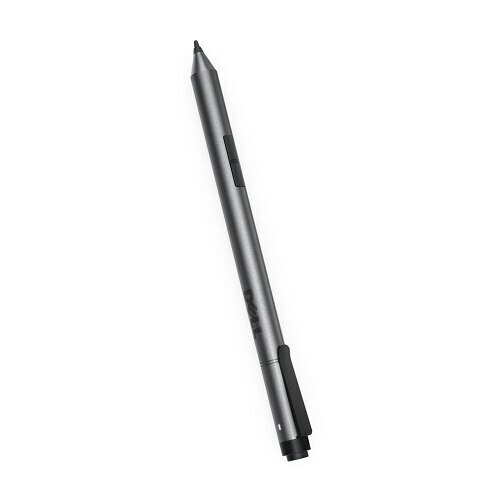 The Dell Active Pen is designed for high performance and a natural writing experience. Enjoy a realistic pen on paper experience while writing on a high resolution tablet or notebook screen with the Dell Active Pen. Whether you're taking notes, creating artwork or checking your email, this pen provides a natural writing feel and quick, effortless interaction with your screen. Your overall productivity will benefit thanks to the high performance features of the Dell Active Pen. With quick launch, one click opens OneNote, even with system locked, for note-taking (but does not unlock the system). Two clicks (with system unlocked) takes a screen shot and pastes into OneNote. 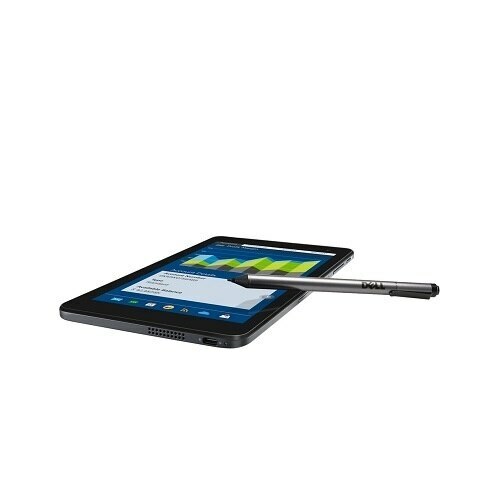 The Active Pen is designed to work flawlessly with Windows 8.1 with the latest updates and Windows 10 programs and will make daily tasks easier on your Dell 2-in-1 tablet. Designed with technology from Wacom, a global leader in digital interface technologies, the Dell Active Pen offers high precision and accuracy, sensing 2048 levels of pressure sensitivity. Draw straight or curved lines and detailed small letters (3mm) without the hassle of distortion or smudging. With palm rejection, you won't have to worry about potential errors caused by your palm resting on the tablet. Draw lines that vary from thick to thin and dark to light, for richer graphical expression, as the Active Pen senses the pressure on the tip. The Active Pen rests easily in your hand, thanks to weighted hand balancing and a design that takes your comfort into account. Plus, the small size and convenient pen clip make the Active Pen your essential, grab-and-go accessory. The Dell Active Pen is compatible with select Dell branded notebooks and tablets. The Active Pen also has an LED light to show pairing status—blinking to show pairing mode and shining solid when pairing is complete. Purchase with confidence and rely on the protection of a 1-Year Limited Hardware Warranty for your Dell Active Pen.